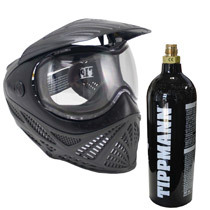 The Tippmann Gryphon FX Carbon Fiber Players Kit is great for beginners and at a affordable price. 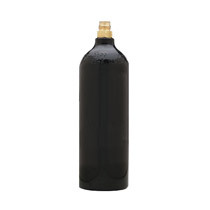 This kit has everything you need to start playing right away. 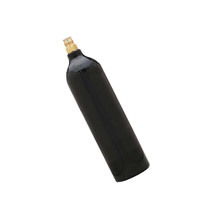 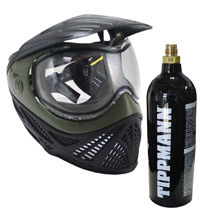 It includes the standard Tippmann Gryphon Semi Auto paintball gun, a 200 round hopper, Tippmann Valor paintball mask that has great vision and protection, a disposable pre-filled 88 gram CO2 tank, and 20 rubber practice balls. 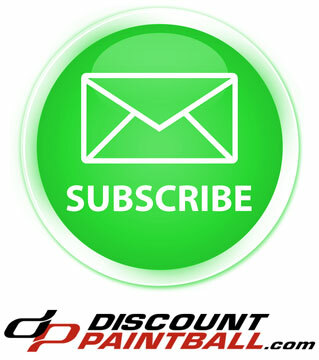 When the pre-filled tank is empty this will accept standard paintball tanks that can be purchased separately. 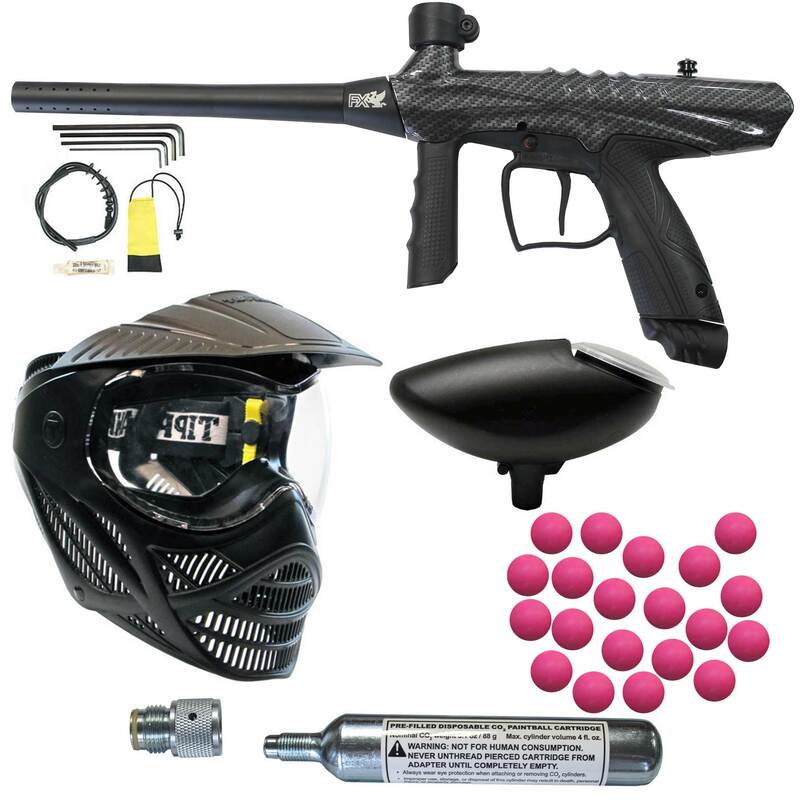 The new Gryphon Paintball Marker is lightweight and incorporates numerous premium features, including: an internal gasline for a cleaner look, a rigid and ergonomically-designed front grip, a center-feed design to maximize mobility, a high-impact body, a blade trigger for a smoother trigger pull, a high performance and ported barrel for reduced sound and improved accuracy, and the legendary reliability of the Tippmann inline bolt system in a new body frame and loader position to provide a more balanced feel to the marker. 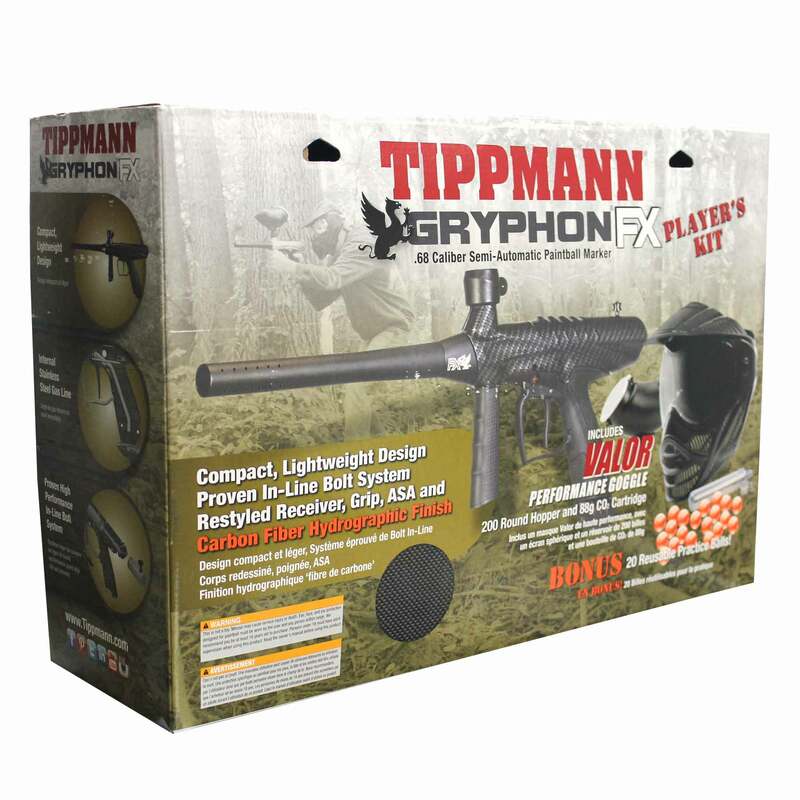 The Gryphon paintball gun was designed to be easy to use, reliable, durable and of course, affordable.